Congrats! You've just been elected as the next president of the United States of America, and your life will never be the same again! It's true, becoming the leader of the free world comes with a lot of perks, such as access to Air Force One and the honor of calling 1600 Pennsylvania Ave. home, but president-elects may not truly understand all of the strict rules and protocols they must follow when they finally move into the White House. The first family can live in the sprawling digs rent-free, but it's forced to pay out of pocket for other expenses — a rule that has left many former presidents and first ladies in financial ruin, including the 5th POTUS, James Monroe, according to the Miller Center at the University of Virginia. As ridiculous as some of the rules sound — like the one that bans the first family from opening windows — most of them are security protocols to ensure the safety of one of America's most important families. You'll thank your lucky stars that you're a mere civilian after you read the strict rules the first family has to follow in the White House. Hands off the Oval Office! Prior to moving into its new pad, the first family may feel excited to spruce up the 132-room abode and add its personal touch to the furnishings. 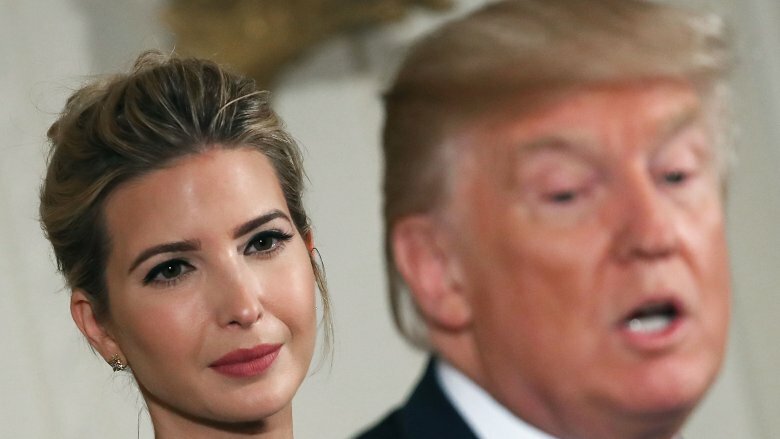 The family is certainly allowed to hire an interior designer and make some alterations, or it can simply choose furniture stored in the government's super top-secret "40,000-square-foot warehouse in Maryland," according to The Washington Times. Marie Claire reports tat family members are allowed to "repaint the rooms to their liking" and choose their own bedding, but Kate Andersen Brower, author of First Women: The Grace and Power of America's Modern First Ladies, told ABC News the first family can only make changes "on the second and third floors of the mansion." This means the Lincoln Room and the Yellow Oval Room have always and will always remain off-limits. Why? Because those two rooms are considered "historic" areas, and according to Brower, the rooms "belong to the American people, not to the families who live there." 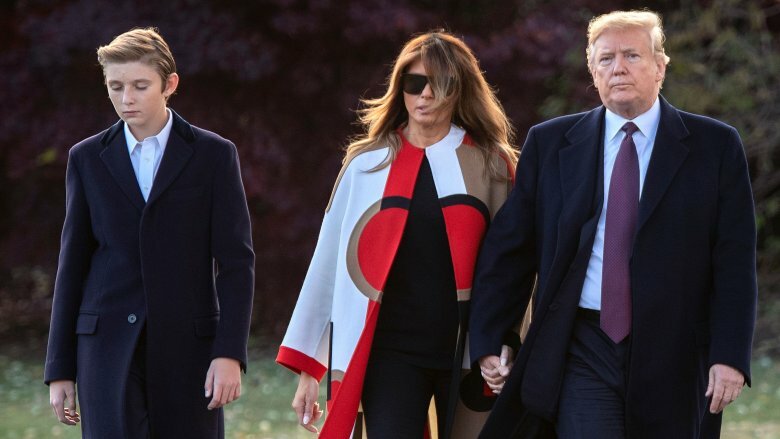 Members of the first family are responsible for purchasing their personal items, such as designer clothing and grooming expenses, reported CNN. They must also pick up the tab for every meal they eat at the White House and Camp David. 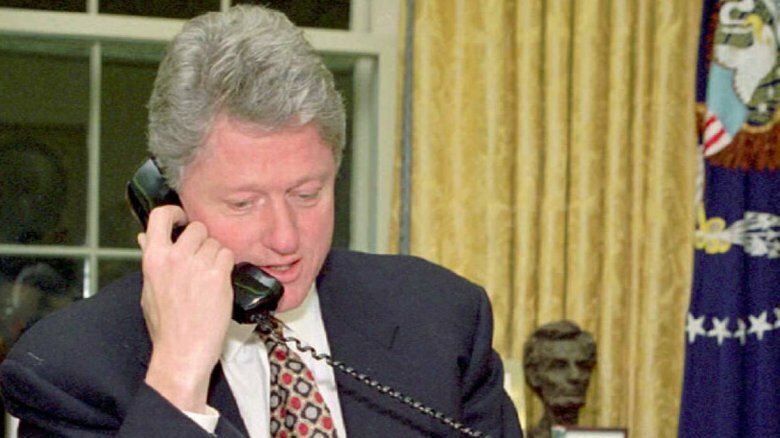 All of those expenses add up over the course of a presidency, which is one of the reasons former President Bill Clinton was $16 million in debt by the time he left the White House in 2001. "We had no money when we got there and we struggled to, you know, piece together the resources for mortgages for houses, for Chelsea's education, you know, it was not easy," First Lady Hillary Clinton told ABC News. Keep in mind: a lot of the Clintons' money also went to legal fees associated with Bill's Monica Lewinsky scandal. In case you were worried, they eliminated their debt in 2004, according to NPR, and are doing better than fine financially today. In 2016, Forbes estimated that Hillary was worth a cool $45 million. The president can't just pop on over to the nearest cell phone store and pick any mobile device they want. As POTUS, one is at an increased risk of becoming the victim of hacking or security breaches. To combat this threat, the president is issued a mobile phone by the White House Information Technology and the White House Communications Agency. According to Politico, President Donald Trump uses "at least two iPhones" — one for making phone calls and the other to fuel his love for Twitter and various news apps. However, while his aides have urged him to get his phone "equipped with sophisticated security features designed to shield his communications" — something his predecessors have done — No. 45 allegedly refuses to do so, supposedly calling it "too inconvenient." This leaves his phone in danger of being hacked or prone to "suspicious activity," Politico reports. Although this may not be a strict rule, it's definitely something that is strongly advised and in the president's best interest. In your own home, you can open up the windows and enjoy the some cool fresh air or a summer breeze. The first family, on the other hand, doesn't get this luxury. Details about a closed-window police were confirmed by Brigitte Macron, the wife of French President Emmanuel Macron. 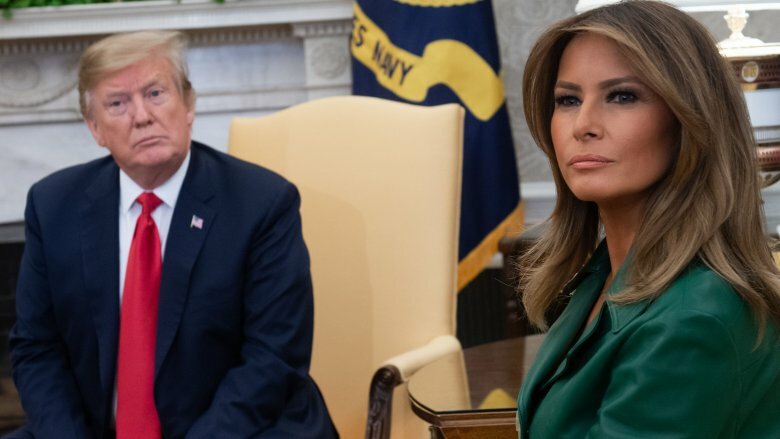 Chatting with Le Monde (and translated via The Guardian) about her visit to Washington D.C. to hang out with President Donald Trump and First Lady Melania Trump, Brigitte was surprised that Melania "cannot do anything" and added, "She can't even open a window at the White House. She can't go outside. She's much more constrained than I am. I go out every day in Paris." Even First Lady Michelle Obama learned this lesson the hard way. Speaking to Oprah Winfrey at the Conversation at the United State of Women Summit (via the White House archives), Michelle said, "Sasha opened her window once — there were calls. 'Shut the window!' It never opened again." 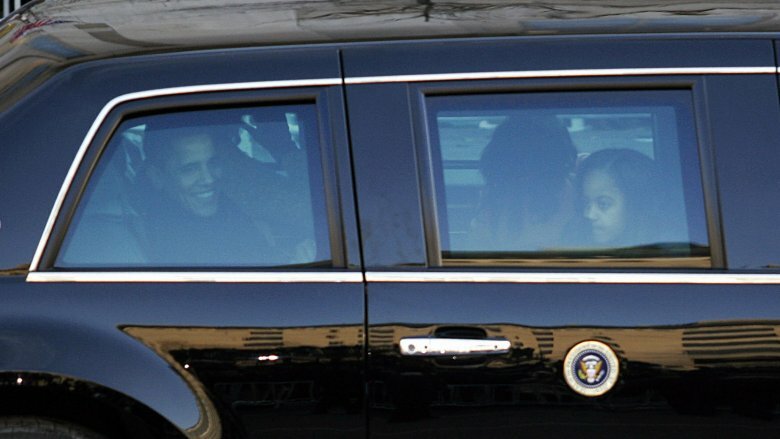 According to Marie Claire, this rule applies to car windows, too, serving as an added layer of protection for the first family. You'll often see the first family exchange gifts with foreign dignitaries, but these baubles and keepsakes aren't for the first family to retain in their possession. Citing the Congressional Research Service's document on gift-giving, AOL reports that these gifts are a "sign of respect and reflection of the relationship between the gifting country and United States." However, the gifts aren't considered to be the president's property. Instead, a "tangible gift of more than minimal value" is to be "accepted on behalf of and property of the United States." 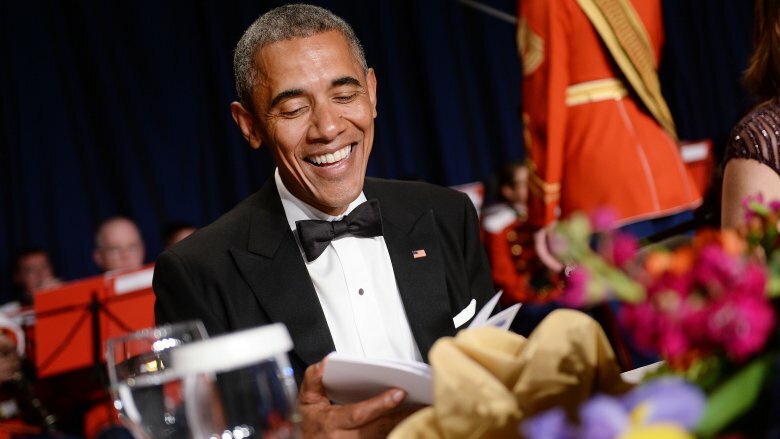 Mementos are kept in the National Archives while the president is in office, and after the president's term is complete, the gifts are then transferred to a Presidential Library — that is unless POTUS really wants to keep the item, in which case, the former president can "purchase it back at market value," according to AOL. One of the most exciting parts about moving into a brand new home is when the shiny keys are finally resting in the palm of your hand, but the first family technically doesn't get to experience this when its members take up residence in the White House. White House curator Door Czar William Allman told Esquire there is a lock on the front entrance, also known as the ceremonial "north door," and there is, indeed, a key to the White House. Regardless, the first family isn't in possession of it. "But because of the presence of the Secret Service protecting every entry point, there's obviously no need to lock those doors generally. And the family wouldn't ever need to lock or open them — they'd always be escorted," Allman said. On the bright side, they don't have to worry about accidentally leaving their keys at home! One of the most morbid rules is probably the most necessary, regardless of how shocking it may be to civilians. According to Elle Decor, within the first week of moving into the White House, the president is given the daunting task of planning their own funeral. You know, just in case the unthinkable happens while they're still in office. 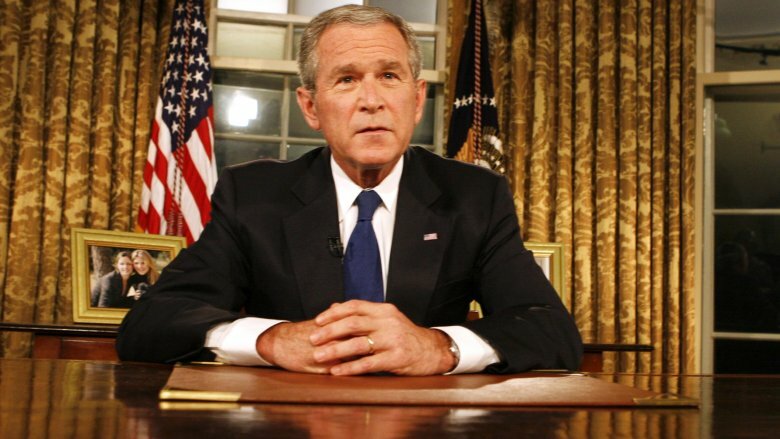 This rule was reportedly revealed by Bradley Blakeman, President George W. Bush's former deputy assistant. Even though the American public isn't privy to all the planning that's been put in place, that hasn't stopped some people from conjuring up their own ideas. During President George H.W. 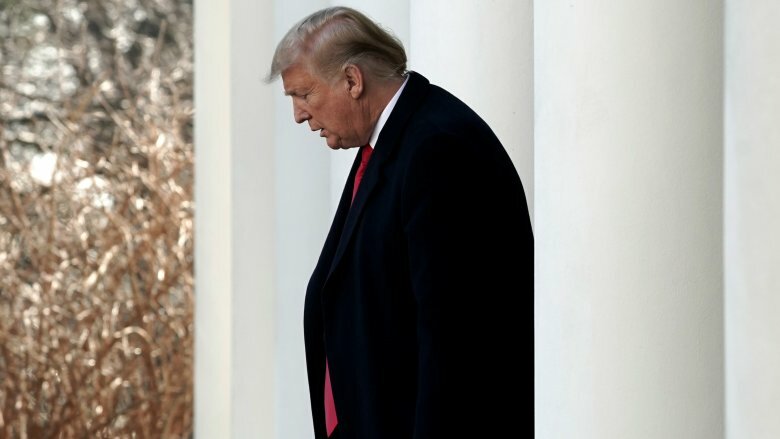 Bush's televised funeral service in December 2018, news anchors predicted what President Donald Trump's funeral might entail someday. 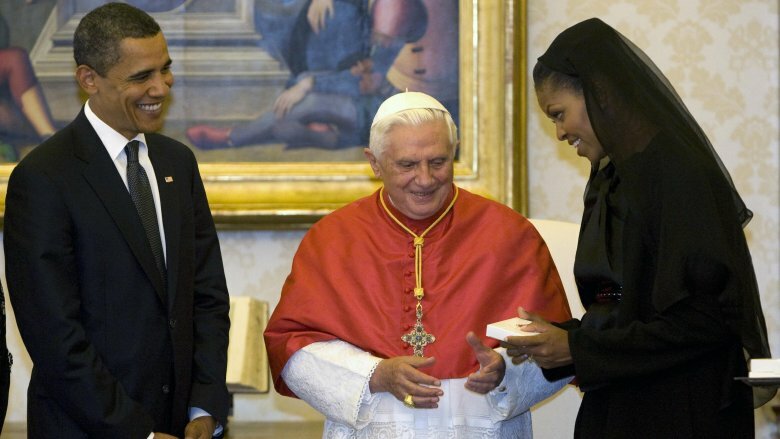 "It will be the best presidential funeral ever," ABC correspondent Terry Moran said (via The Wrap). "No one will ever have seen anything like that funeral." Morbid much? The 'organized chaos' of moving day begins at 11 a.m.
Jan. 20, 2017 was moving day for the Trump family, but while President Donald Trump was being sworn in at the Capitol building, there was complete pandemonium going on back at the White House. As soon as President Barack Obama left the White House to attend the Inauguration at 11 a.m., "95 staff members" were rushed in to "flip the White House" just in time for its new inhabitants, according to Today. "Furniture gets swapped, walls repainted and artwork replaced, all in accordance with the wishes of the incoming first family." Bradley Blakeman, President George W. Bush's former deputy assistant, told CBS News, "It's really organized chaos or a military ballet." He added, "Literally hundreds of people who are given assignments and it's timed down to the minute." By the time the new president returns home after the swearing in, all of the first family's items are in perfect order, right down to their toothbrushes and their clothes hanging in the closet.